(TORONTO, ON – December 22, 2011) Go ahead: delight your inner performance car driver. The fourth-generation Lexus GS 350 – all new for the 2013 model year – delivers progressive luxury and a fresh, evocative design, plus outstanding driving dynamics. And while you enjoy many moments of driving pleasure, you’ll recall the delight of acquiring this remarkable machine at a remarkable price, because Lexus ensured this vehicle – reengineered inside and out to set new standards in its segment – would also set a new standard for pricing. The 2013 Lexus GS 350 AWD starts at $54,900 MSRP – priced to match the current segment leader while offering more standard features, and $2,810 in additional content compared to the previous GS model. 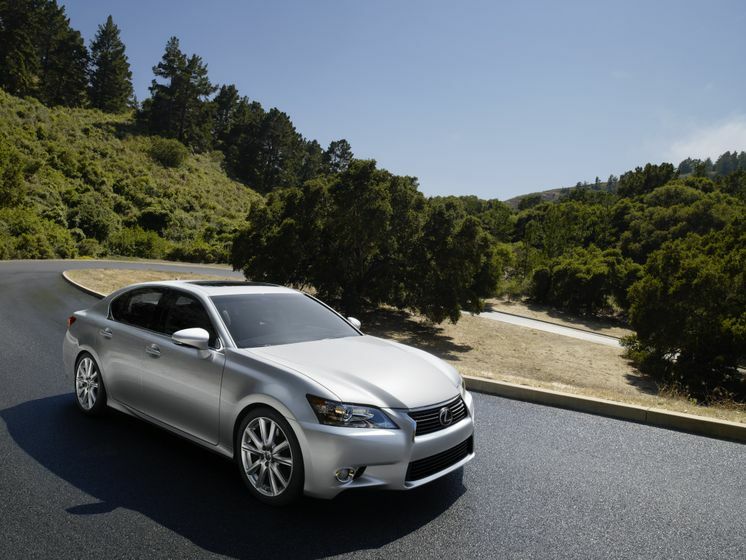 The GS 350 is all-new for 2013. Outside, a fresh exterior design features a lower, more dynamic stance, 18” alloy wheels, LED daytime running lights, a new Lexus spindle grille, a moon roof, and HID headlamps. This is complemented by a more luxurious and spacious interior featuring all-white LED ambient lighting, analogue clock with LED indicators, leather instrument panel and changeable ambient illumination. A new Smart Key design is standard, while available options include an enhanced drive-mode select, the world’s first 12.3” navigation display, the enhanced 2nd generation Lexus Remote Touch interface, next generation Mark Levinson Audio and more. All models may be outfitted with several options sets, including Navigation and F-Sport packages, while all-wheel-drive GS 350 models may be enhanced with a number of luxury and technology packages. The 2013 GS 350 goes on sale at Lexus Dealerships across Canada in winter 2012. Lexus in Canada is the exclusive Canadian distributor of Lexus luxury cars and sport utility vehicles through a sales and service network of 35 dealers across Canada. With 5 models on the road today, Lexus has the largest luxury hybrid lineup; allowing guests a choice in a large range of luxury vehicle segments. In the 2011 J.D. Power and Associates Initial Quality Study (IQS), Lexus won the most segment awards, four in total, of any nameplate. For more information about Lexus products, and Lexus’ pursuit of perfection, visit www.media.lexus.ca.